Do you want to shape the future of CFXU?! Do you want to know the behind the scenes of a campus radio station? Apply to join the foxy staff! Download the CFXU Staff Applications 2019-2020 Form and email it to cfxu@stfx.ca! APPLICATIONS ARE CURRENTLY OPEN! PLEASE APPLY! THIS IS THE SOUND THE FOX MAKES! Forms not working? Technology illiterate? 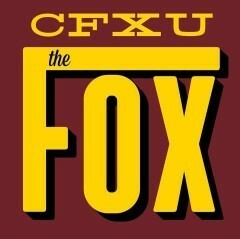 Just email the above information to cfxu@stfx.ca!